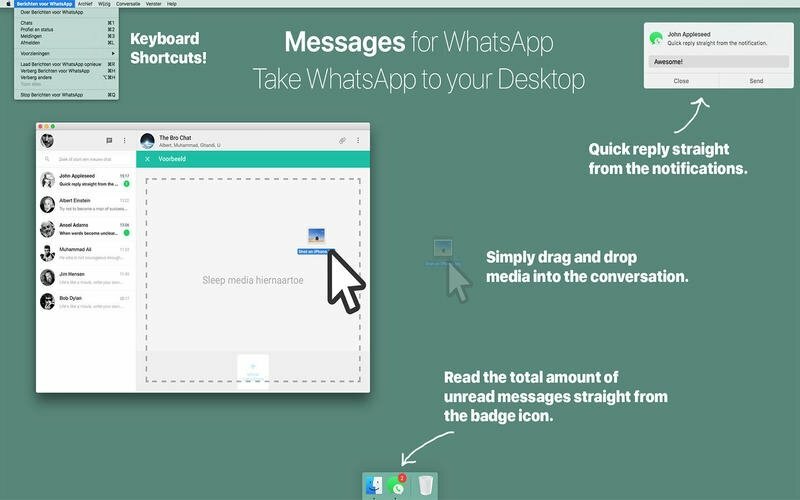 Messages for WhatsApp brings to the desktop of your Mac computer the instant messaging application par excellence so that you can talk to your friends, share videos and photos and chat in groups without having to be continuously swapping between your phone and PC. 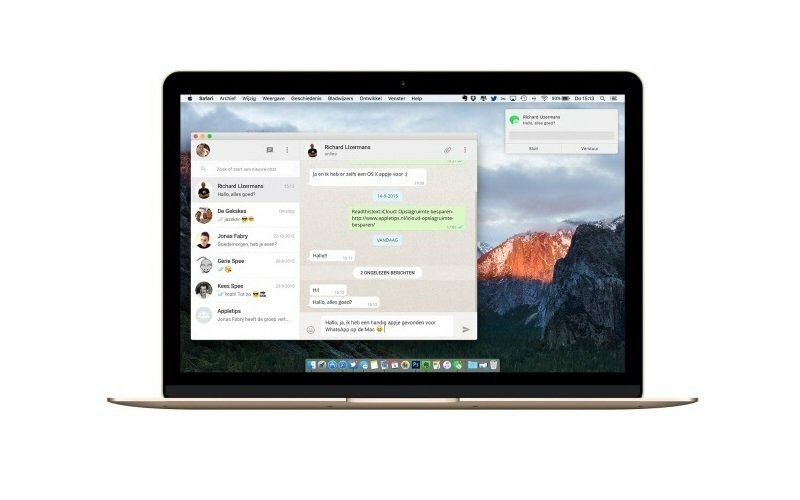 An essential application for any Mac and WhatsApp user. You can now send messages and multimedia files to your WhatsApp contacts without taking an eye off of your computer. An important advantage if you want to hide the fact that you're chatting with friends during working hours. View the number of unread messages straight on the icon. Answer messages from the desktop notifications. Drag and drop any photo or multimedia file onto the conversation window. Use Mac hotkeys to carry out your most common actions. Chat on full-screen or resize the window to your own liking. The truth is that this program is basically a wrapper for WhatsApp Web, but tremendously useful as you won't have to open any browser window to access it. Requires Mac OS X 10.11 or above.